Manufactured home builders are available right here in Nigeria. There may not be very many of them because manufactured home construction technology is just taking off in Nigeria. However, the awareness and acceptance of this method of residential, commercial, and office building construction is growing steadily. Here's the really sweet part. 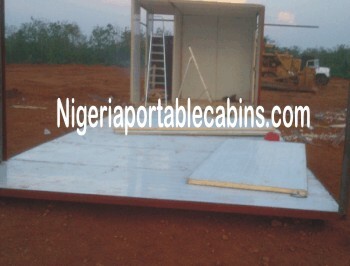 We are manufactured home builders in Nigeria. Yes, we do not just write articles and give insights about manufactured homes in Nigeria. Manufactured home construction is actually our business. So, if you're looking for trustworthy and ethical manufactured home builders to quote for and construct your prefab estate, factory, school, hospital, hostel, or any other category of residential or commercial manufactured building, we are just the right people to do business with. We take our manufactured home business seriously and seek to give our customers the best service possible. In fact, our business is solidly founded on the principles of honesty, quality delivery, equity, respect, and customer satisfaction. We company offers nationwide prefab building construction services. And we deliver on time and in full. As a first time manufactured home buyer, you may wonder: "What materials are used for manufactured home construction?" Answer: Manufactured homes are built from steel materials as well as thermal insulation materials and other accessories common to regular home construction. For example, the structure of the house (including the pillars) are built from mild steel. It's because the use of mild steel results in manufactured home prices that are affordable. And affordability is a key reason why many people invest in manufactured homes. If manufactured homes are not affordable, people will not buy them. And if people don't buy them, manufactured home companies will have no business. However, mild steel is susceptible to rust. How do we combat rust? By using paint known to provide a good barrier (or fight) against rust e.g. cellulose paints. What about walls and roof of a manufactured home? The walls and roof materials for manufactured homes are usually sandwich panels. Here in Nigeria, the most popular type of sandwich panels are polyurethane insulated sandwich panels (abbreviated, PU sandwich panels). The use of insulated sandwich panels provides thermal insulation from the burning rays of the sun and the resulting heat that plague inhabitants of buildings that are not insulated. In fact, one of the key reasons why people invest in manufactured home construction is the comfort provided by this category of buildings especially in tropical (or hot) countries like Nigeria. 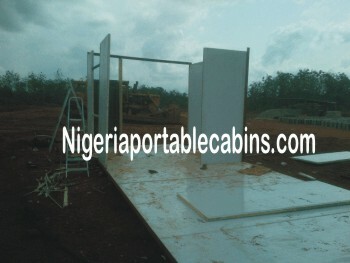 We build manufactured homes in Nigeria. So, if you have any questions, don't hesitate to talk to us. Ready to buy or build a manufactured home?